Be Part of Glass History! The 46th Glass Invitational that began in 1972 and has been an annual event every year since! 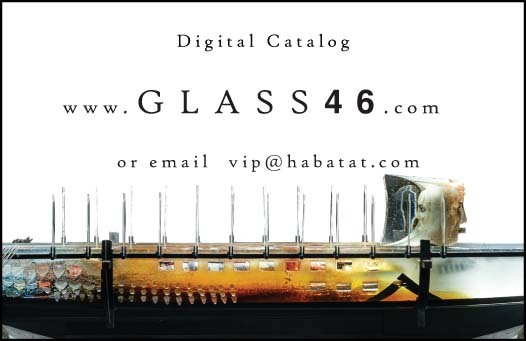 In 2018 Habatat will celebrate the 46th with an exhibition of artists from around the world working with glass as their medium. Mark your calendars as the Glass VIP weekend will be April 26, 27 & 28th of 2018. Contact the gallery for a VIP invitation for this weekend that will include a display of over 100 works of art, the world famous MasterWorks Auction, an elite invitation to the opening of a brand new space dedicated to glass at the Flint Institute of Arts, demonstrations, lectures, experience the 50 artists attending and more! Visit www.Glass46.com for more details!